You have surely heard of Galileo Galilei. You know, the Italian scientists who was among the first to claim that the Earth moves around the Sun, not the other way round? And got in deep trouble with church authorities for such cheekiness? I bet you know him. But did you know he had three illegitimate children, two of which ended up as nuns? That he liked sugared citrons? Enjoyed gardening? Suffered from ill health for most of his life? Galileo's Daughter is full of such tasty details. I truly admire biographies that present their subjects as blood-and-bone human beings. Sobel's book is a good example here. 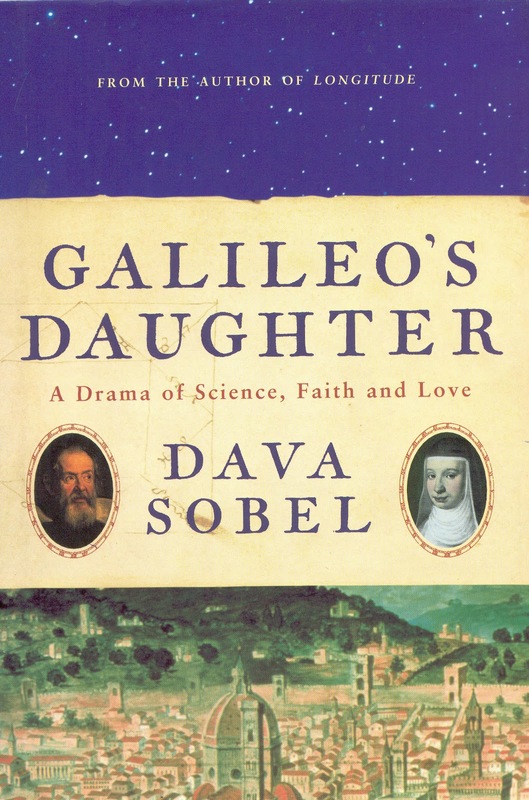 We get a presentation of Galileo's academic achievements, sure, but we also get glimpses of his personal life and a quick look at the general situation in 17th century Italy. All mixed up to form a dynamic, easy-to-read narrative. Facts presented in such a colourful way tend to stay in memory far longer than dry, textbook-like lecturing. What about the daughter so visibly introduced in the book title? Oh, she's there all right. The eldest of Galileo's children, born as Virginia but renamed Maria Celeste once she joined the convent of San Matteo in Arcetri, was a keen letter writer. Fortunately her letters survived and now they form the core of Sobel's book. Yes, the book seems to have been written from original sources, which adds scientific reliability to its already plentiful positive features. A tiny anti-church rant is in order before I finish this review. Galileo's Daughter quotes a few letters written by various church authorities about Galileo and his heliocentric theory. Letters full of outrage and offence taken from his 'erroneous' and 'scandalous' teachings. Just think - these are the guys who present themselves as infallible, hahaha. I know some history so it's not new knowledge for me, but reading the actual pompous words of Italian cardinals or somesuch made me open my eyes in bewilderment once again and see ridiculousness of the whole institution with sharper focus. I've drawn my conclusions, you draw yours.